Silicon Valley startup Carbon3D just unveiled a new 3d printer that can produce objects 25 to 100 times faster than other printers—in other words, within minutes rather than hours or days. Carbon3D’s technology grows objects continuously from a pool of resin rather than the decades-old tradition of building layer by layer. The new method also allows for the production of more complex shapes and structures, opening up a world of possibilities in industries as diverse as healthcare and aviation. The technology, which will grace the cover of the March 20 issue of Science, is called CLIP (Continuous Liquid Interface Production). It builds on existing 3D-printing techniques which rely on photosensitive resin and lasers, but rather than processing an item layer by layer, CLIP can “grow” a product in three dimensions by projecting light through an oxygen-permeable window into liquid resin. The curing power of the UV light is counterbalanced by the inhibiting quality of oxygen, so the resin hardens while the shape is being constructed. Carbon3D CEO Joseph M. DeSimone, professor of chemistry at University of North Carolina, as well as co-inventors CTO Alex Ermoshkin and Edward T. Samulski (also a chemistry professor at UNC) developed their technology in response to the constraints of existing printing techniques. Time will tell whether Carbon3D’s process lives up to its promise. But the claims about speed, diverse materials, and quality–not to mention $41 million in venture capital–all point to leaps in manufacturing. Carbon 3D, you have our attention. Let’s see what you can make. 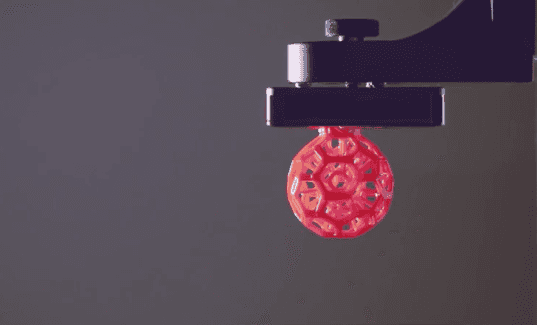 3D printer is a latest technology and that is future for built something in very few minutes. So this article about 3D printer is very useful and knowledgeable for us. For other devices and tech products I prefer Lenovo Support Thank You so much for 3D printer related information.